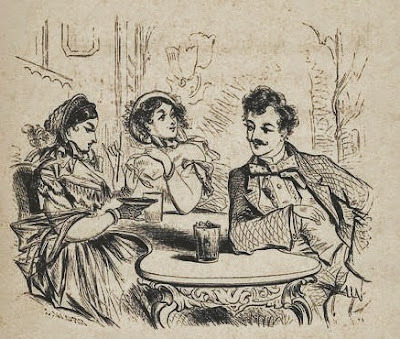 It has been a subject for complaint, and very justly too, from those who have brought their families here, of the many occasions on which virtuous females are unwittingly insulted or placed in disagreeable and unpleasant predicaments by the rudeness and ill manners of the many loafers and unworthy characters who now infest our community. The many men who openly indulge in acts of licentiousness, publicly violate the rules and usages of decent society, and who are palpably guilty of the most inexcusable breaches of decorum and good behavior, must eventually hide their diminished heads, cover their deeds with darkness, or conform to a system of morals that now governs our most worthy and refined communities. 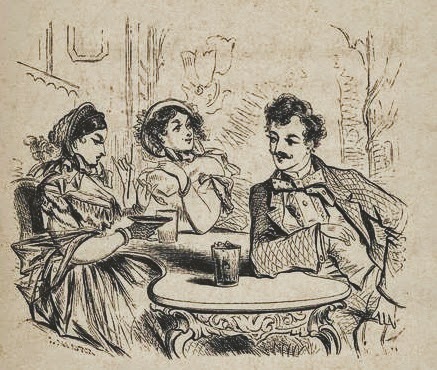 There are, very unfortunately, many persons among us who apparently have nothing else to do but to idle away their time in hanging around bar-rooms or standing on street corners and public places, whistling for want of thought, and vulgarly staring into the face of every female who passes by. We have heard numberless complaints from our most respectable and worthy citizens, whose families in walking through our streets are subjected to the impudent stare, licentious criticism or ribald jest of some loafer whose daily haunts are the card table and the rum shop. And again, many whose families visit places of amusement or popular assemblages, are to be thrown in company with brazen-faced harridans and depraved characters whose presence, pollutes the atmosphere of all public places in the city. The habits contracted by many persons who were here at an early day, have not been corrected by the better influences now prevailing and many are so lost to shame and so far forgetful of self-respect as to form associations which their early education would have taught them to shun with the greatest care. The most charitable supposition would lead us to believe that a residence here of a few years without the benefits to be derived from refined and moral associations might have had sufficient influence to make one forget the duties he owes to himself and society.